Microsoft wants to be the provider of your app’s next backend with its new Azure service being announced today. Azure App Service is a new option for developers who want to build a backend in a single runtime without the need for additional environments. It offers the ability to build truly cross-platform apps in a single place. “Businesses are constantly looking for better ways to engage with their customers and they are using apps to engage both customers and employees in a better way,” Omar Khan, partner director of program management at Microsoft told TNW. 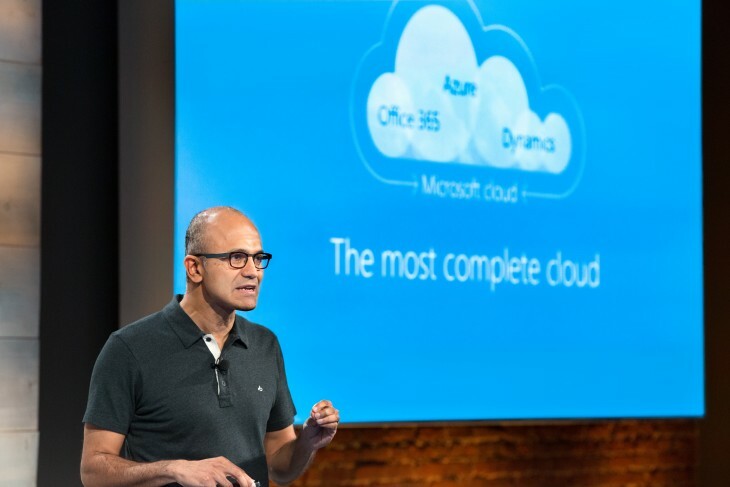 While Microsoft thinks the cloud plays an important role in that space, “developers want more simplicity” and find it challenging to target multiple platforms, Khan said. 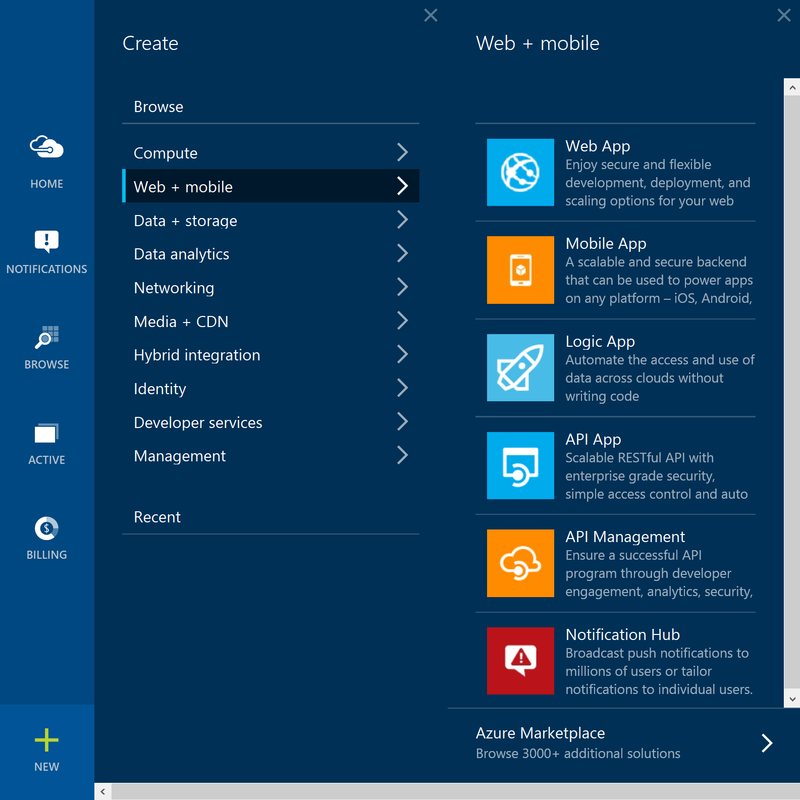 Web Apps (formerly Azure Websites) are for hosting your site with whichever language it’s built in (.NET, Java, PHP and many more are supported). Mobile Apps provide backend capabilities for Windows, iOS and Android devices such as push notifications, authentication and cloud data storage. Logic Apps allow developers to automate processes across APIs, including third-party services, to make it easier to integrate. This also includes Microsoft’s BizTalk capabilities. API Apps offer developers tools to find, host and manage APIs. This service includes built-in support for many existing services including Salesforce, Zendesk, Office 365 and more. The idea is that Microsoft wants to offer a single service at a single price for developers wishing to build out a complex, cross-platform backend. The ability to quickly build out cross-app integrations with external APIs provided by Azure will likely be of particular interest to developers. 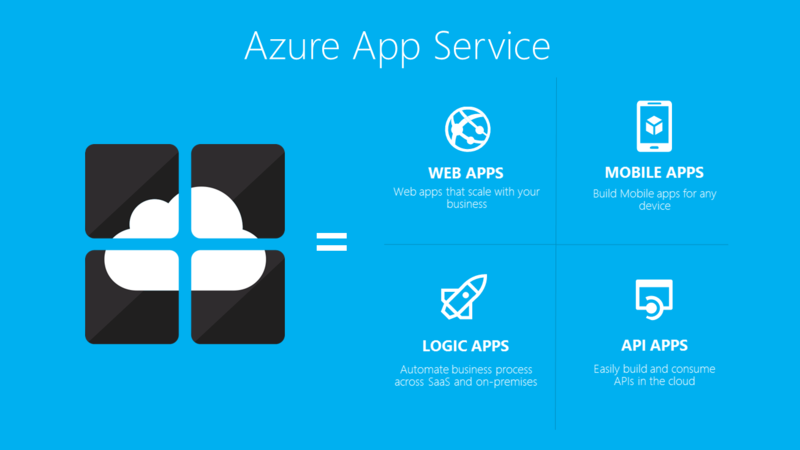 Azure App Service is available beginning today; some new features will be in preview form as it’s a new offering.